Please join me for readings from Nostos on Sunday, February 3 from 1 to 2:30 PM at Copperfield’s Books, 850 4th Street, San Rafael, CA. I’ll be speaking about the two pieces I made for this literary journal, which is devoted to the subject of family. The works share three qualities: both are diptychs, or two pictures that are meant to be looked at together; both are monoprints or unique printed images; and both are based on actual objects. 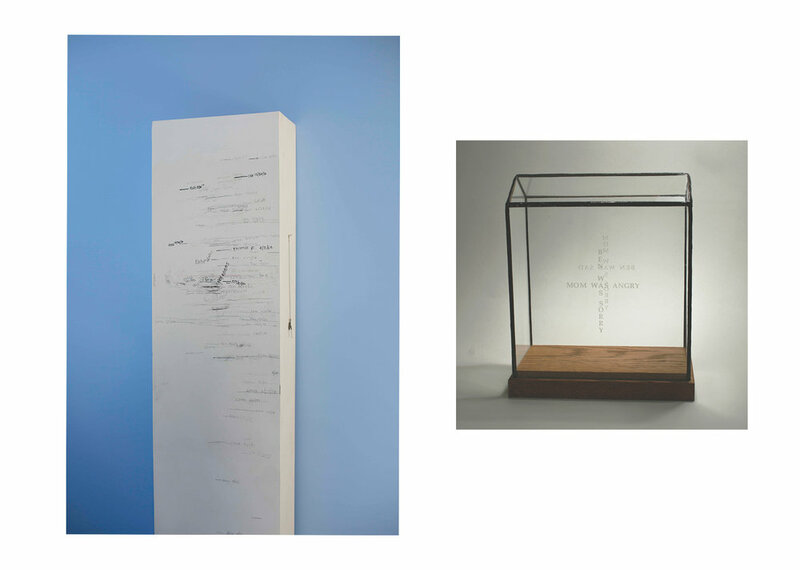 The inspirational objects: our Growth Chart and Cross Purposes, a glass and wood sculpture I made in 2000. We chronicled the heights of our children on a growth chart. It’s a freestanding column because when we moved, I couldn’t leave it behind so I had it cut from the wall and took it with me. It’s a prized possession. I live in a house with lots of artwork and the growth chart is the single object that attracts the most attention. It dates from 1993 and is still in use today. As the children grew older, they added their friends to the growth chart. Now my nieces and nephews have children, who are also included. Last Christmas, someone added their dog. My challenge was how to translate the growth chart into two dimensions. The object is tall and thin and the Nostos pages are essentially square, so I decided to split the image into two parts, younger and older. I wanted to preserve the writing, especially the look and feel of little hands learning to form letters. With the help of a professional photographer friend, I separated the lettering from the column. Next I needed a background for it. Growth is defined as the process of increasing physically in size, so I wanted to convey a sense of motion. I chose the repeated action of rolling an inked brayer. I used a pure violet for the younger years, and a mix of colors to represent the more complex older ones. Again, my challenge was to translate three-dimensional work to a book page and again I chose to make a diptych using a printmaking process. In this case, I had two letterpress plates made, each mimicking a side of the “Cross Purposes” sculpture. Since these plates raise the design, I was able to transfer the image by running an inked brayer over paper on the plate. As you can see, I needed many passes to accurately portray my parenting experience. Growth Chart photographs by Mika Sperling. I’m grateful to Dorota Brzozowska, Professor at Opole University, Poland, for including my work Bound to Please #35 in Chinskie Slady, her book about Chinese traces in Polish culture. The piece pairs a ceramic misshapen foot and an actual lotus slipper, referencing the old Chinese custom of foot binding, a ritual preformed on young girls resulting in permanently stunted foot growth to comply with the cultural ideal of tiny feet. Chinese women with bound feet created intricately embroidered silk slippers to showcase their lotus feet. The ultimate bound foot, “a golden lotus,” measured three inches in length. 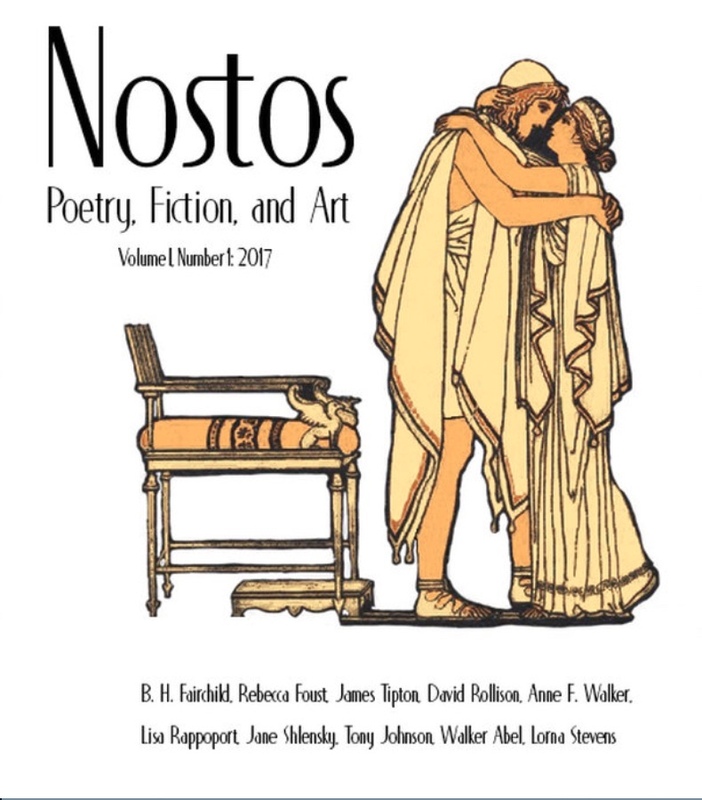 Thanks to Bethany Marcel for her review of Nostos. Her comments about my work: "I also enjoyed the visual art by Lorna Stevens, paintings that “reflect experiences of a journey home…..derive[d] from aerial photographs of the United States-Mexico border.” I was moved by these images. I admit I lingered longer here than I usually do over graphics in a literary journal." Ostrich Feather Wedding Dress Project work clockwise from top left: Tom Van Houten, Cait Molloy, Judith Selby Lang, Marcela Pardo Ariza, Ray Beldner, Katherine Vetne, Evie Leder, Hadar Kleinman. Two publications regarding “Common Dilemmas,” my recent collaborative exhibition with Joanne Easton, prompted reflection on how we, the artists, wrote about our work compared with the observations of an independent art writer. We co-authored an article on the advantages and complexities of collaboration, which was published by WEAD (Women Eco Artists Dialog) in their Artists At Work Issue. Joanne and I described the history of our work together, our distinct creative approaches and the Ostrich Feather Dress Project, a group endeavor we developed for the show. Writer and artist Christopher Squire saw the show and was prompted to write ‘Footnotes on the Ostrich Feather Wedding Dress Project: Wearing the Beast,” which was published in Dissolve SF in February, 2017. His article focused on our group endeavor, but also included commentary on our collaboration. I learned from reading Christopher’s response to our work and from comparing it to what we had written. Our account was descriptive and explanatory. We focused on sharing our creative journey with the reader. Christopher’s take, in comparison, communicated less information in a more poetic way. Unburdened by the history of the project, his perspective was less pedantic and fresher. So thank you, Christopher for your inspired thoughts on our project and for reminding me to apply creativity to my written words. I took the photo on the left in my studio. I’m wearing an ostrich feather adorned wedding dress and channeling Cindy Sherman as I compose a self portrait by moving many times from pose to iphone camera and back again. The photo on the right, again me in the dress, was taken by professional photographer Suzanne Engelberg. Part of an afternoon photo shoot, this image captures a spontaneous sit down artfully enhanced by the photographer. Both images took about the same amount of time to produce. The selfie realistically records me and my surroundings. The professional portrait renders me as I could not. I don’t have the technical skill, equipment or vision to create such an image of myself. Though I’ll continue to take selfies to record the events of my life, I’m glad to have Suzanne’s all together different portrait of me in the dress. The Ostrich Feather Wedding Dress Project will be exhibited in Common Dilemmas, a “With The Earth” exhibition at Gallery Route One in Point Reyes, California from November 4-December 11, 2016. 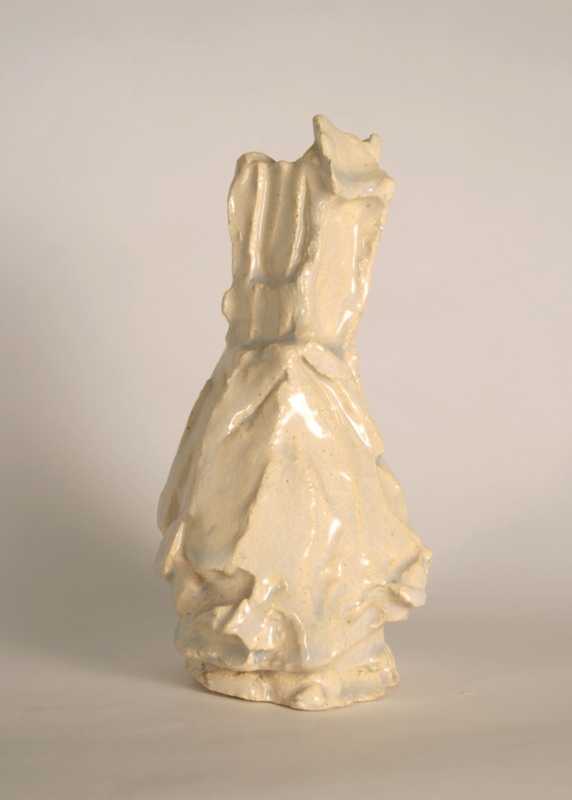 Common Dilemmas is a collaboration between artists Lorna Stevens and Joanne Easton. The Ostrich Feather Wedding Dress Project is a group project of artists’ wall works inspired by a Lilly Rubin ostrich feather-embellished dress purchased on eBay for $50. Participating artists include Marcela Pardo Ariza, Mariel Bayona-Garcia, Ray Beldner, Suzanne Engelberg, Hadar Kleinman, Judith Selby Lang, Evie Leder, Cait Molloy, Thomas Van Houten, Katherine Vetne, Mary Hull Webster and Minoosh Zomorodinia. Suspended Animation is back at di Rosa. I become acquainted with artist Minoosh Zomorrodinia through our work together on the WEAD (Women Eco-Artists Directory) board of directors and am honored to be included in “Rite of Passage,” a show she curated with Arash Shirin. Currently on view at the Islamic Cultural Center of Northern California, the curators hope to expand the conversation between environmental art and personal spirituality. One Threshold, Two Yields at Krowswork in Oakland, January 1-10. Draft pages from Paradise Drive, the Artist’s Book, a combination of selected sonnets from Rebecca Foust’s recent book, Paradise Drive and my watercolor responses. The Snow Goddess, an unexpected creation, inspired by my niece's story.